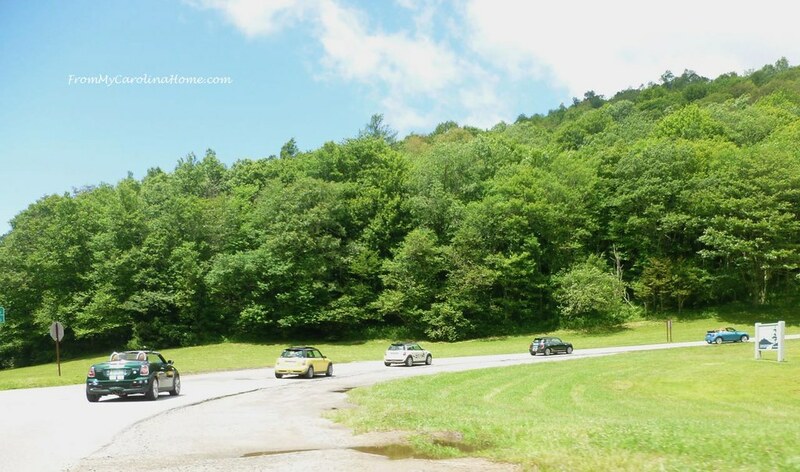 Yesterday was clear and warm, a wonderful day for a drive and we joined the Appalachian Mountain Mini Club for a geocaching event. One of the requirements for the club is the Mini has to have a name. So, with our red one, DH liked the name Calienté. 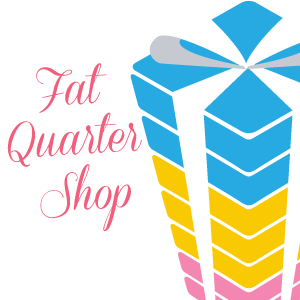 Of course, I had to take that idea and run with it a bit. 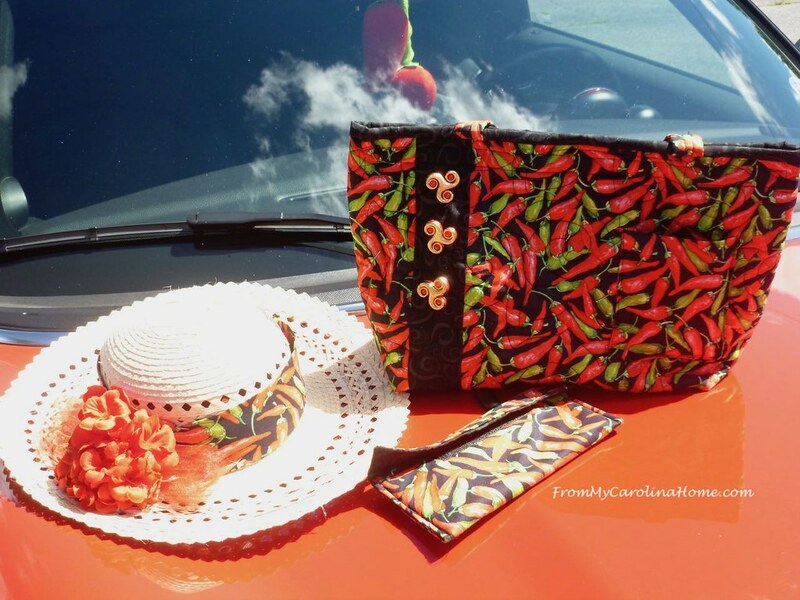 I found some chili pepper fabric and created a hat, purse and sunglasses case for the outing. 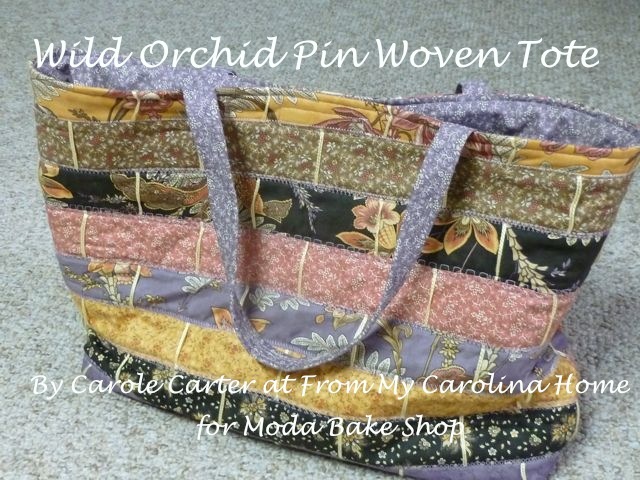 Next week I’ll show those projects, and have a pattern for the purse. Hanging from the mirror are a pair of chili peppers, actually dog toys that I modified a bit. Beginning in Maggie Valley we met at a distillery. We got there early and took the short tour, ending with a tasting of their products and a souvenir glass. 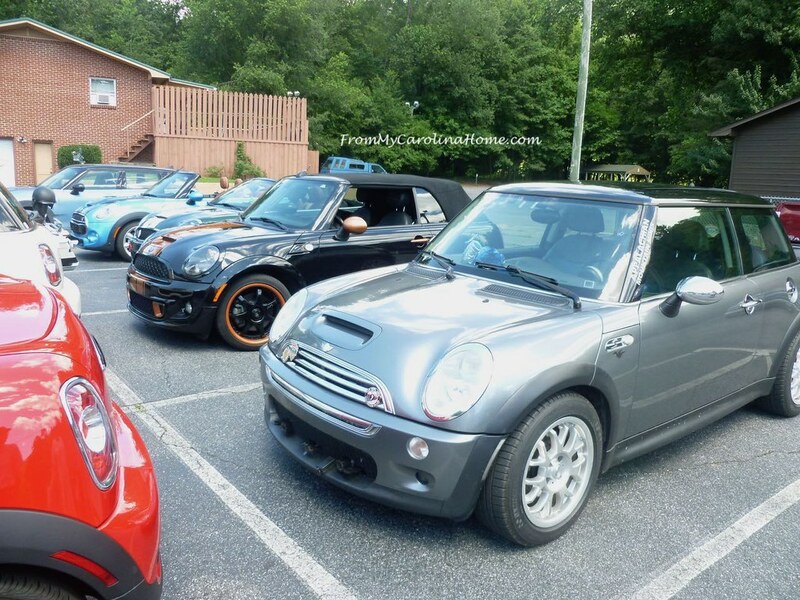 It was fun to see so many Minis together, different colors and types. The first geocache was at the distillery, and thank heaven one of the members knew where it was. It turned out to be a small bolt on an old truck with the geocache logo on it. Most of the caches are a bit more, with at least a logbook. Anyway, that one found, we set out for the second location. 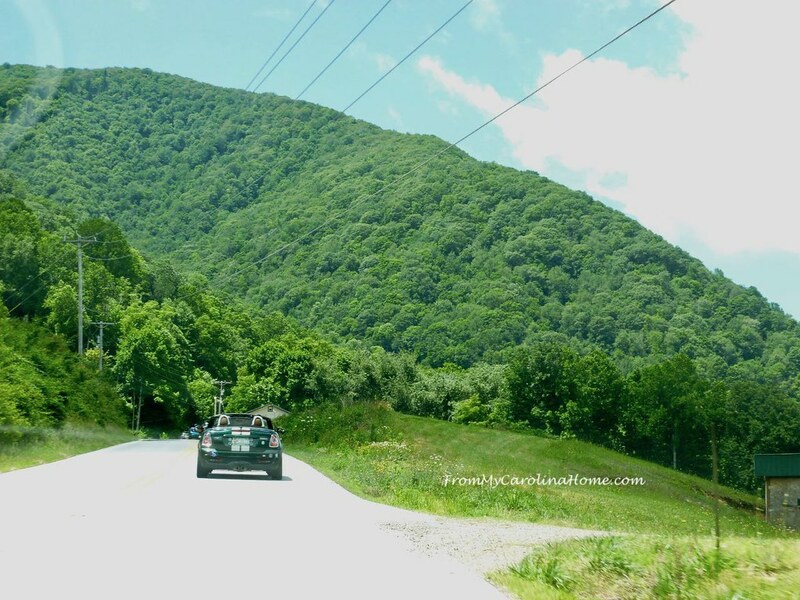 Driving these beautiful mountain roads in summer, the lush greenery is a feast for the eyes. 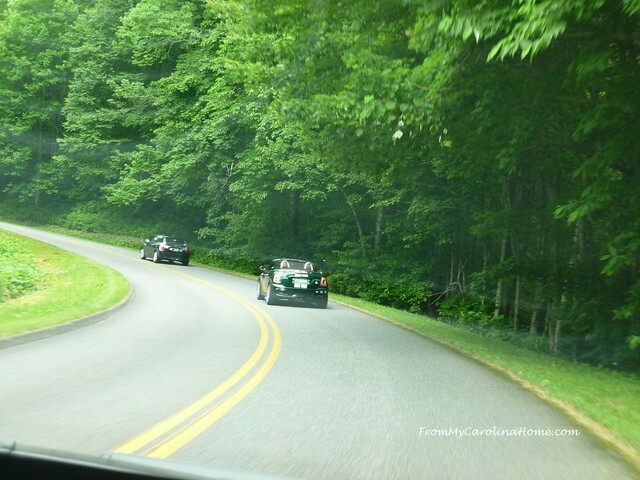 Cruising out of the valley, we headed up onto the Blue Ridge Parkway. Amazingly, it wasn’t crowded for a Saturday. I took a chance on trying to get a photo of the cars behind us at the stop sign by taking a photo in the mirror. Not bad. And off we went again, lush green all around. 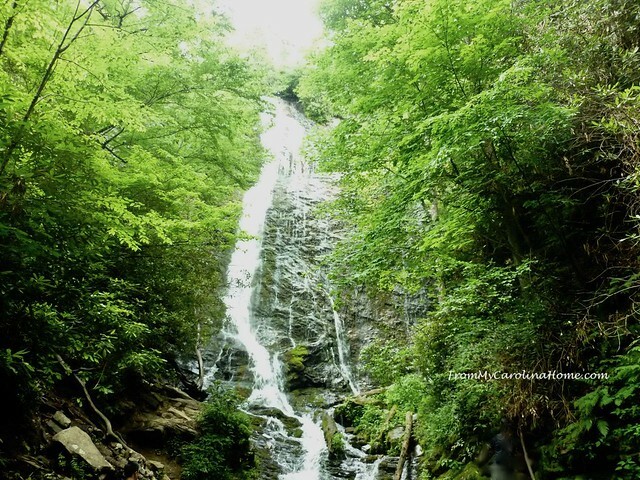 The drive took us miles to the west, to Mingo Falls on Cherokee land. The geocache was located next to the main parking area. I climbed up a muddy hillside with one of the other members about 15 feet to find the stump listed on the guide sheet our hosts had provided. 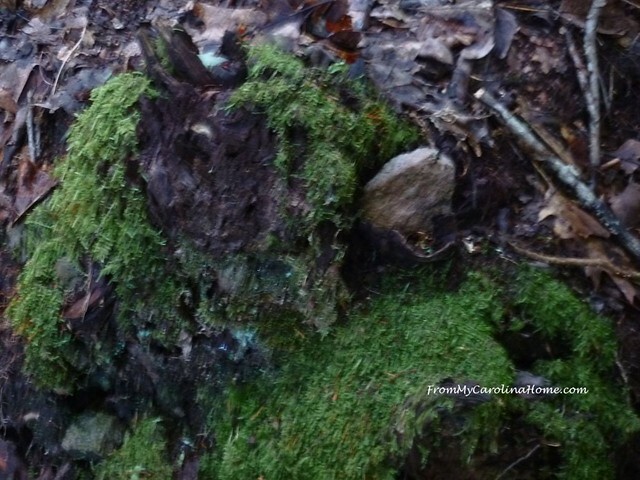 Here’s the stump, with a rock hiding the cache. Lift off the rock, and a small container is revealed, just large enough for a logbook. We put AMM and the date on the logbook. Later, our hosts will log onto the geocache site and log the find. Caches can be small like this, or larger boxes with tiny trinkets inside. If that is the case, the seeker takes a trinket and leaves another one in its place. 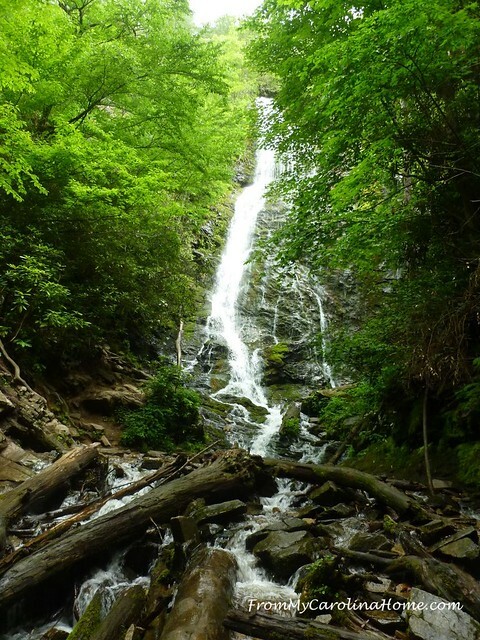 We hiked the short 1/4-mile to Mingo Falls going up 161 steps at the beginning, then over rough and muddy, but reasonably flat terrain to the falls. 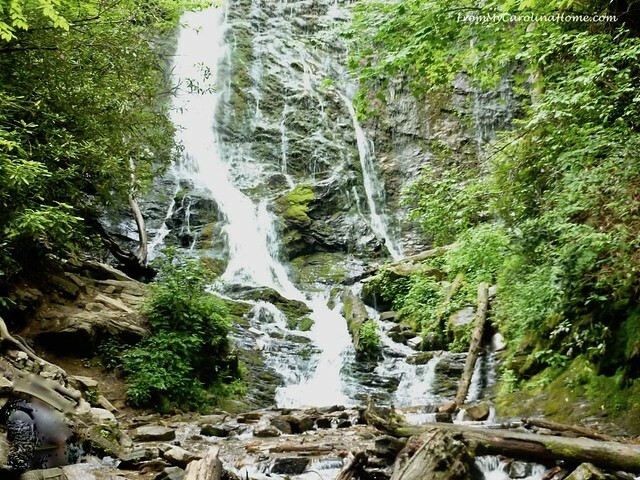 The falls are 200-feet high, and beautiful coming down the granite face of the mountain. Layers of rock with cascading water, it was interesting to see the patterns created. The day was sunny and bright, difficult to get a good photo of the entire falls when the top was in sunlight and the base was in shade. There was another cache at the top of the hike. DH went with another member to find it, as again it was up the side of a muddy hill. But, they found the plastic bottle containing a logbook, and wrote AMM and the date on it. 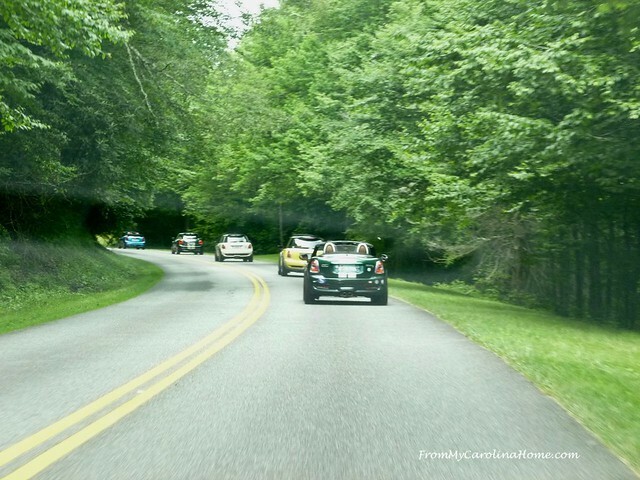 Then back to the Parkway for the last leg of the trip, taking us to a Mini club member’s home for a potluck meal. I took my Asian Broccoli Cabbage Salad. Next time though, I need to take extra dressing, as the vegetables soaked it up during the drive. On the way, we stopped at an overlook to attempt a photo. 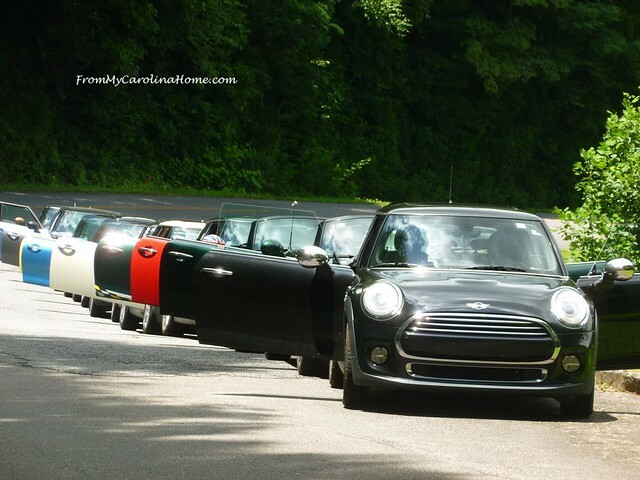 We were trying to replicate a photo done by another Mini Cooper club, but we didn’t have a straight line, and we couldn’t get high enough to get all the doors. But, it was fun to try. Then we had just a bit further to go to get to the house. On this leg of the trip, we were on the better side of the road to get some photos of the mountains. 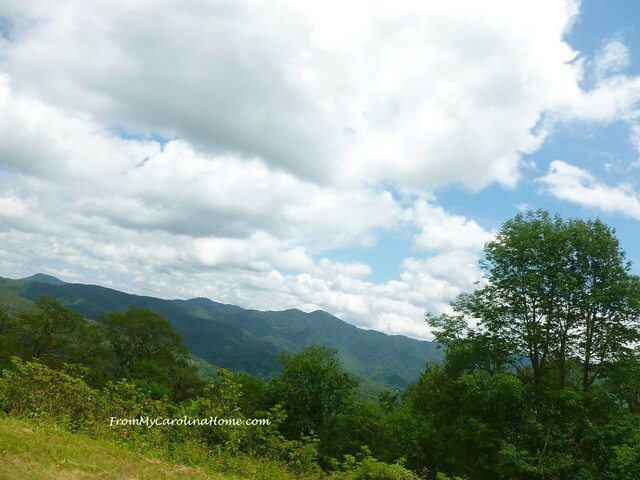 The leader didn’t stop for scenery photos so I just tried to get what I could of the lovely Blue Ridge Mountains while on the move. Fluffy clouds pass lazily over the layers of green mountains. 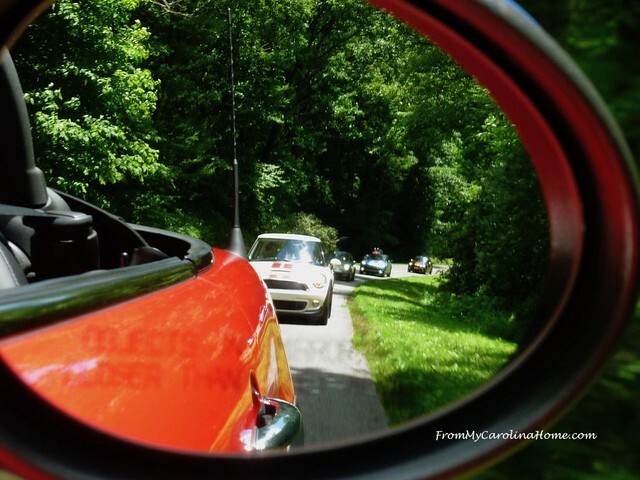 One more shot of the cars behind us on this leg using the mirror. At the house, we had a great time chatting with new friends and enjoying their lovely home and an adult beverage. Then, we had a fantastic barbecue meal, with lots of side dishes and fabulous desserts. 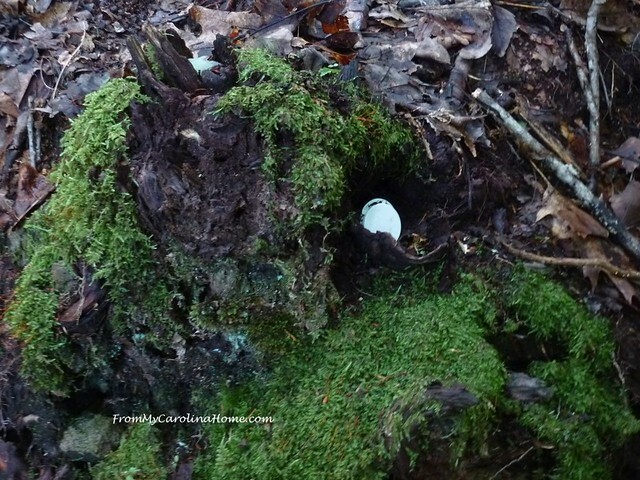 The last geocache was at their home, and it didn’t take long to find it. 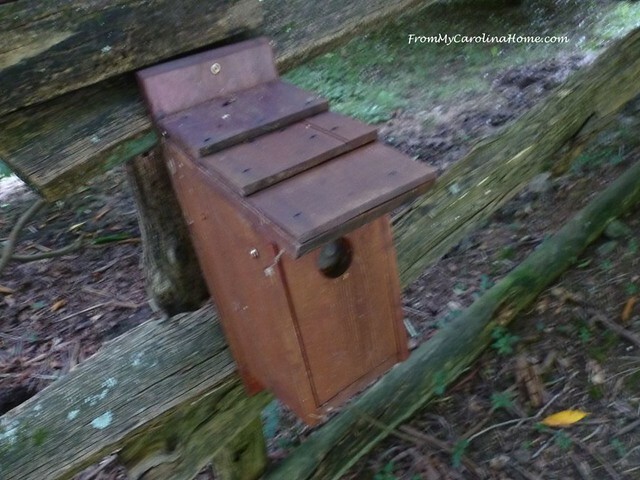 This time it was inside a birdhouse. 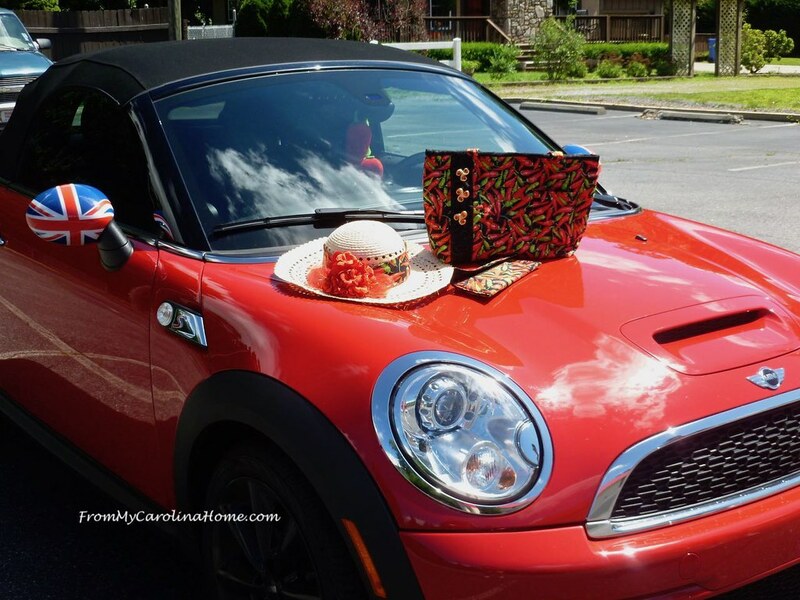 There was a small box of trinkets, including some Mini Cooper swag, so we got a can koozie, and left an Asheville keychain fob. This was a fun idea, and I think we may do it again on our own sometime. 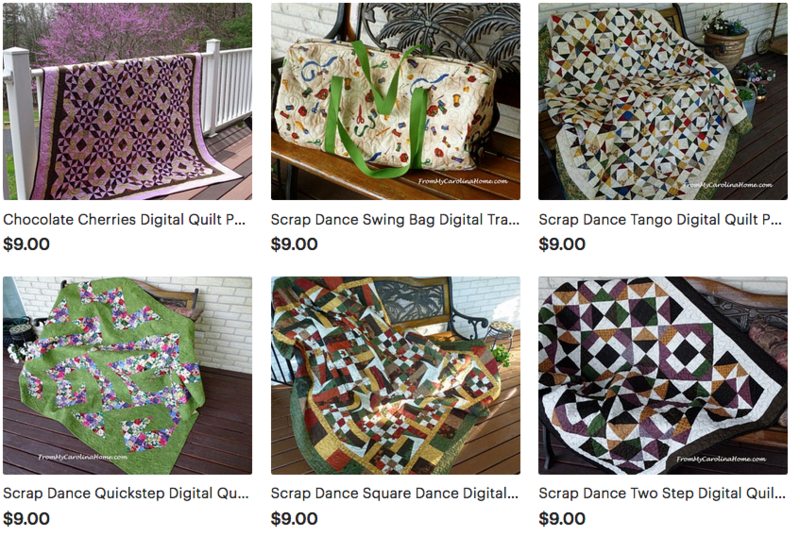 Ultimate Sewing Package – Only $120! Wow, what a blast. I love the photos, Carole. 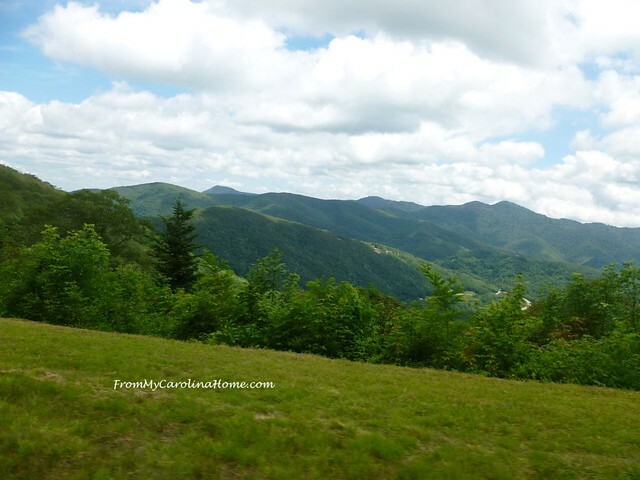 It is a beautiful area, along the Blue Ridge. We are blessed to live so close, I can actually see it from my house…. TOP. or at the top of my street. What a fun trip!!! Our grandchildren introduced us to geocaching about four years ago while spending the summer with us. I had never heard of it before. I was surprised how many there were in our little town and we had fun searching for the items. Great memories they still talk about today. Gorgeous photos. I have done geocaching with my grandsons to get them outside in the summer. A friend belongs to a geocache club that meets in different states each year. Such fun! Great pictures. 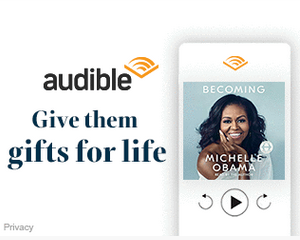 Sounds like a fun time together. I like that you have an activity along the way. Must make for interesting conversations too! 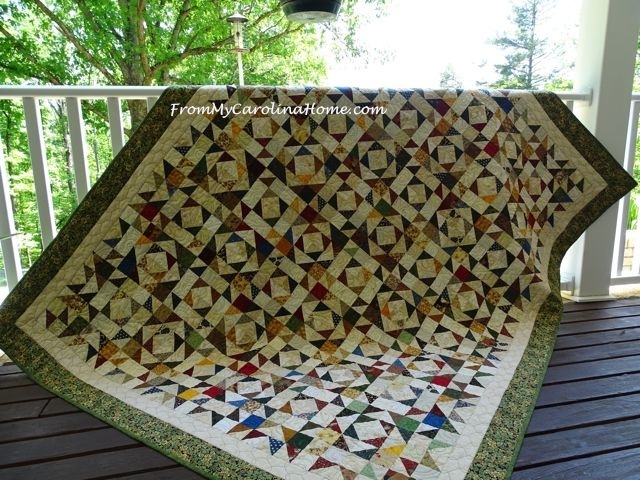 I have a quilt buddy who does “letter boxing” and has made trips around the country do it, and meeting other letter-boxers at central gatherings. Love the chili pepper accoutrements. Looks like a wonderful day out, I go geocaching, is a great way of exploring places, both near where you live and new places. Oh what fun!!! Love your pictures!!!!!! Thanks for sharing with us. 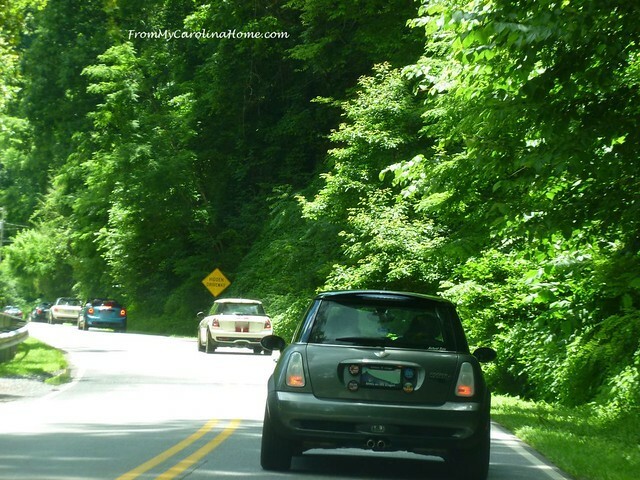 This looks like a lot of fun and I like how you made a little theme for your Mini Cooper. My family actually has logged over 150 caches. Not lately, but we should get back into it. Some of them are VERY difficult! Will you geocache on your own now? 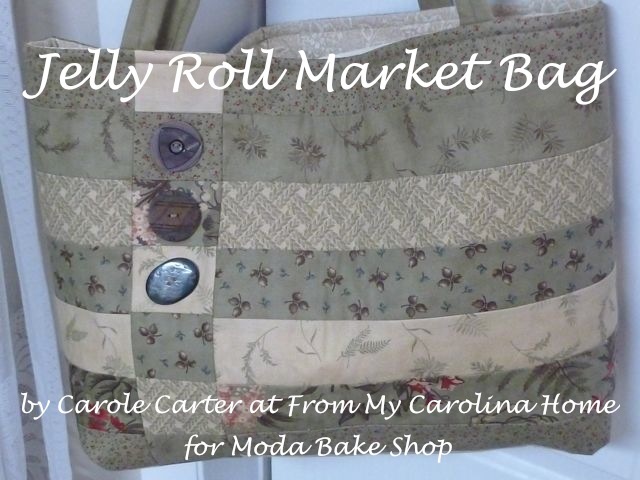 This sounds like so much fun Carole! I love all your Caliente creations, so cute!!! 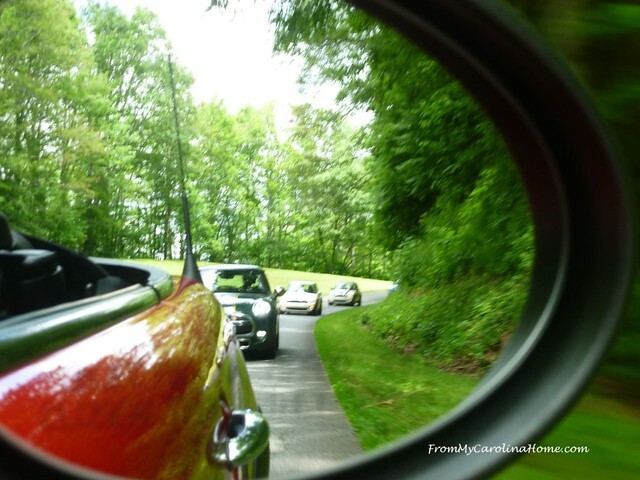 The photos you took are amazing, I love the rear mirror shots! Looks like a fun time! We go geocaching some here and there. Kids love looking for treasure, so we don’t look for the micro ones. I have been geocaching, as a geography graduate student, but not otherwise. 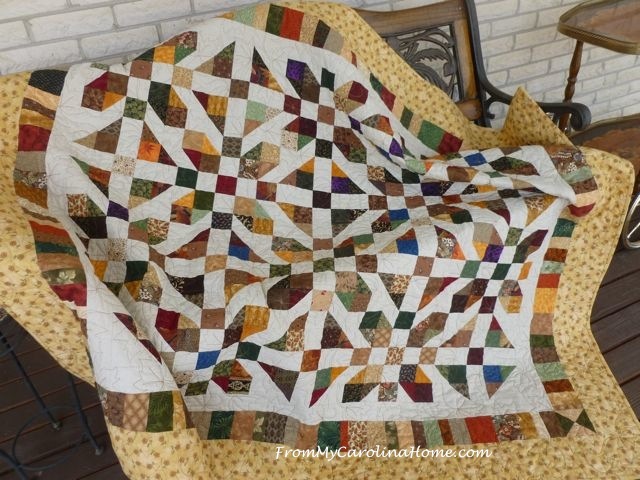 I have a quilting friend in Mass. who goes a lot with her DH. Your day sounds wonderful, and I appreciated all the pictures. It’s pouring rain here today, and I would love to be over there, rain or shine, enjoying that drive.